“Of Kindred Souls” is another original Blake composition. It was first recorded by Roy Hargrove in 1993 on the CD of the same name, but has been re-cast here with Regina Carter’s classic violin strains. Blake states, “I was looking for a melody that would lend itself to a duet for violin and tenor. Regina came and did what she does so well, adding a beautiful color and presence to the song.” Bassist Christian McBride, with whom Blake has worked for eight years, and who produced Lest We Forget, is featured on Bobby Hutcherson’s composition, “Teddy,” and also on the soulful “What Is Your Prayer For?” composed by Blake. Pianist Michael Cain’s influence on Shayari is also evident on his two contributions, the Latin-tinged “76” and “Come Sun,” a composition that highlights Blake’s classical lyricism. Other selections include “Hanuman,” named for the Hindu deity [from the Sanskrit epic Ramayan (Way of the Rama) of ancient India]. The track, “Abhaari”—another word from the sub-continent meaning “gratitude”—is a two-movement composition that, along with “Hanuman,” was composed collectively by Blake, Cain, and DeJohnette. The origins of Ron Blake’s tradition-honed eclecticism can be traced back to the Virgin Islands where he was born and reared. At age 8, Blake took guitar lessons; then, two years later, he switched to the alto saxophone in his elementary school band. He loved playing calypso and other music from the region. He graduated from Michigan’s Interlochen Arts Academy, and later matriculated into Northwestern University in Evanston, IL, where he received the Presidential Award for Outstanding Artistic and Academic Achievement. In 1987, Blake’s jazz career began in St. Thomas, where he taught in summer music programs. He was introduced by, and performed with jazz luminaries Dizzy Gillespie, Bobby Hutcherson, and Gary Bartz at the first Virgin Islands Jazz Festival. Later, he won a National Endowment for the Arts Grant to study with Bartz. After his graduation from Northwestern University, Blake worked extensively in the Chicago-area with the Chicago Jazz Orchestra, performing behind such legends as Louis Bellson, Clark Terry, Nancy Wilson. He was mentored by many of the Windy City’s jazz statesmen, including Von Freeman, Willie Pickens, and Bunky Green. In 1990, Blake moved to Tampa, FL, and began work as an Assistant Professor of Jazz Studies at the University of South Florida, and nurtured his classical interests by performing with the Florida Symphony Orchestra. Occasionally, he would fly to New York to sit-in with Branford Marsalis; Mulgrew Miller; and Kenny Kirkland. 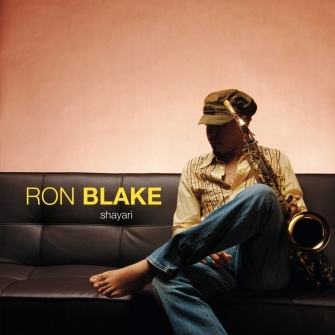 In 1992, Blake re-located to New York City and joined Roy Hargrove’s Quintet, a collaboration that spanned five years. During this period, Blake also worked with dozens of jazz greats including: Johnny Griffin, Art Farmer, Stanley Turrentine, Roy Haynes, Art Taylor, Benny Golson, Betty Carter, Shirley Horn, Abbey Lincoln, and Ray Brown. 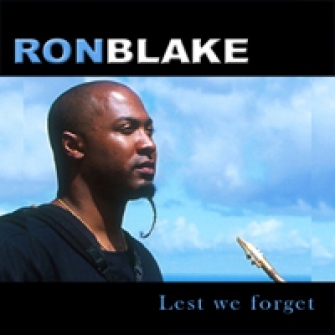 In 1998, Blake recorded 21st Century, a unique Caribbean-influenced jazz project, with drummer and fellow-Virgin Islander Dion Parson. 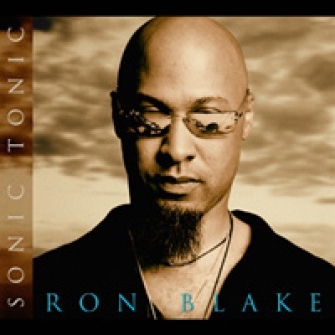 In addition to his 2000 debut as a leader on Up Front and Personal with special guest Johnny Griffin, Ron Blake released his first Mack Avenue recording, Lest We Forget in 2003, followed by Sonic Tonic in 2005. In 2005, he was featured in Meshell Ndegéocello’s group, Spirit Music Jamia (with Michael Cain), which released a critically acclaimed recording, Dance of the Infidel. Since the year 2000, Blake has been a member of the Christian McBride Band and is featured on McBride’s Live at Tonic. Blake also has guest appearances on several Mack Avenue recordings, including: Gerald Wilson, Sean Jones, and Tia Fuller. In 2005, he was invited to join NBC’s Saturday Night Live Band, where he plays the baritone saxophone and flute. In 2007, Blake was appointed to teach in the Jazz Studies program at the Juilliard School of Music. Currently, he is member of the faculty at both New York University and Nyack College (Manhattan campus). This record is more introspective than earlier projects. It’s an acoustic collection of trios.